During the holidays, many families and communities make giving back a part of their celebrations. At H.B. Fuller, we are proud to have a focus on supporting our communities not just during the holidays, but also throughout the year. Community involvement is part of the lifeblood of our organization. Our Vancouver, Washington, US, location has a long history of literally putting community needs at the center of their holiday celebrations. For more than 20 years, employees have collected toys at their holiday party to benefit Toys for Tots and help ensure that all children in their community can receive a gift for the holidays. Last year, Vancouver employees donated enough toys to fill two SUVs. At our Willow Lake headquarters location, we also host an annual Toys for Tots drive. This year, instead of focusing on this campaign only during December, employees started early – our Community Affairs Council used the popularity of the “No Shave November” campaign to raise funds to buy additional toys for our drive. For many or our locations around the world, the holiday spirit of giving started even earlier, during our October Make a Difference volunteering campaign. 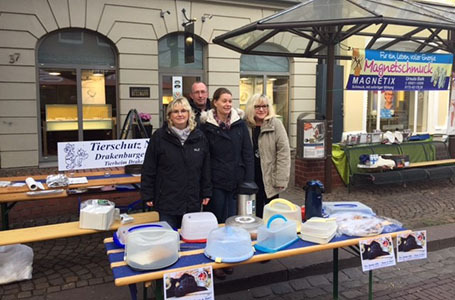 Our employees in Nienburg, Germany, brought their commitment to community involvement home with them – on their own time over the weekend, employees baked homemade cakes, which they then sold at the weekly Nienburg market. All proceeds supported two local animal shelters. 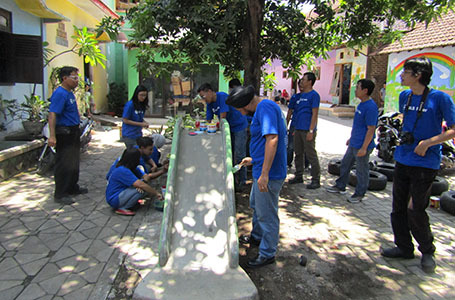 Employees at our newest facility in Surabaya, Indonesia, participated in the Make a Difference campaign for the first time, and had a huge impact, highlighting their passion for community responsibility. They worked at a local nursery school to renovate classrooms and the playground, ensuring that students in their community have the resources they need to succeed. Once we enter the new year, our Community Affairs Councils around the world will be back at work planning new volunteer projects in the communities where our employees live and work. For us, giving back is not only a part of our holiday celebrations, but it is a way we celebrate the generosity of our employees and our dedication to our communities all year round. Learn more about our commitment to community involvement by following #HBFullerCares on social media and by visiting www.hbfuller.com/community.